Huttu showed his true championship mettle, storming to a dominant win at the Nürburgring to blunt Kronke’s title run. 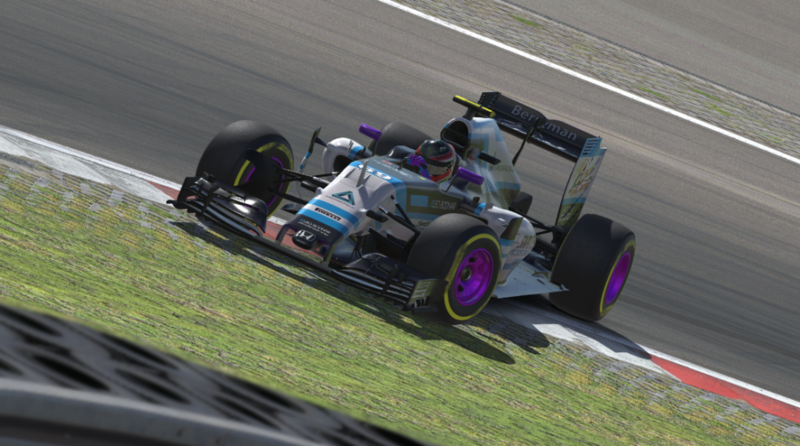 Greger Huttu ran away with another trademark Huttu Victory on Martin Krönke’s home soil at the Nürburgring, slashing the German’s lead in the iRacing World Championship Grand Prix Series title to just seventeen points heading to the Circuit of the Americas for the season finale. Pressure would be heavily stacked onto Krönke’s broad shoulders moving into his home race and, perhaps, the dawn of a new era, similar in the way that Fernando Alonso ended the streak of championships for Michael Schumacher. Knowing his ninth win of the season, coupled with a fourteenth place or lower finish for Team Redline‘s Huttu, would seal the title with just a race to go Krönke was on the cusp of becoming just the third sim racer to ever earn an iRacing World Championship GP title. Huttu had never been put in the position of chasing a championship before, such has been the dominance of the Finnish driver. In what you could say has been not the strongest of years, Huttu’s formidable talent has now surely been matched and if not surpassed by the German. 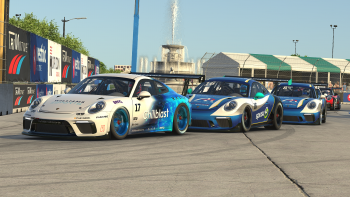 Qualifying was a straight dogfight for pole position between the two rivals. Krönke provisionally fastest before Huttu’s 1.28.601 pipped him for pole by a tenth of a second. Continuing his breakout year, Joni Törmälä planted his IneX Racing McLaren MP4-30 in third place alongside the second VRS Coanda machine of Mitchell DeJong, who now would be targeting a return to form for next season. 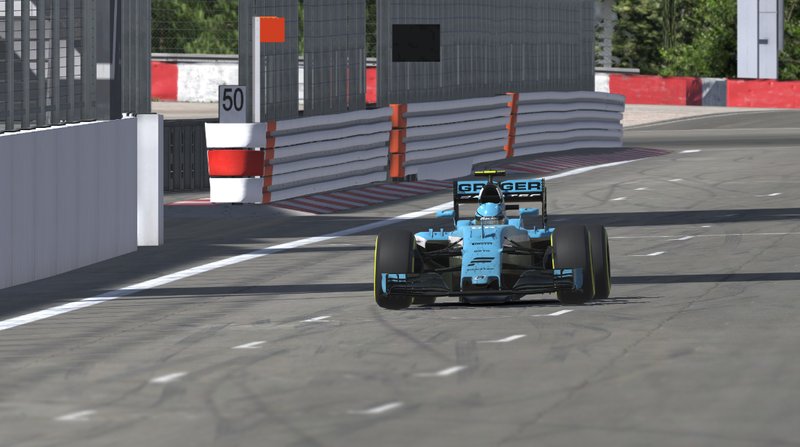 With rumours circulating the paddock that Team Redline’s Olli Pahkala planned to hang up his gloves at season’s end, he still pulled out a fantastic lap to qualify fifth alongside Radical Online‘s Mark Webber-esque Mogar Filho. The rest of the top ten was a wave of Orion Race Team cars as Marin Colak, Davy Decorps, Riley Preston and Ilkka Haapala all managed to find themselves within three quarters of a second. A dream start launched Huttu to his fifth win of the season. The dream start went to Huttu as Krönke bogged down more in the second phase of acceleration, enabling the five time World Champion to traverse the notorious Mercedes-Benz Arena unchallenged. Nor was there much movement be speak of in their wake during the opening lap, with the only real position changes resulting from drive-through penalties assessed to Tomo Meglic, Yuta Saito and Isaac Price. As the gaps opened throughout the opening stint, it was became clear that Krönke was not about to allow Huttu run away into the sunset, keeping a measured gap at around 1.2 seconds whilst opening the margin to Törmälä. 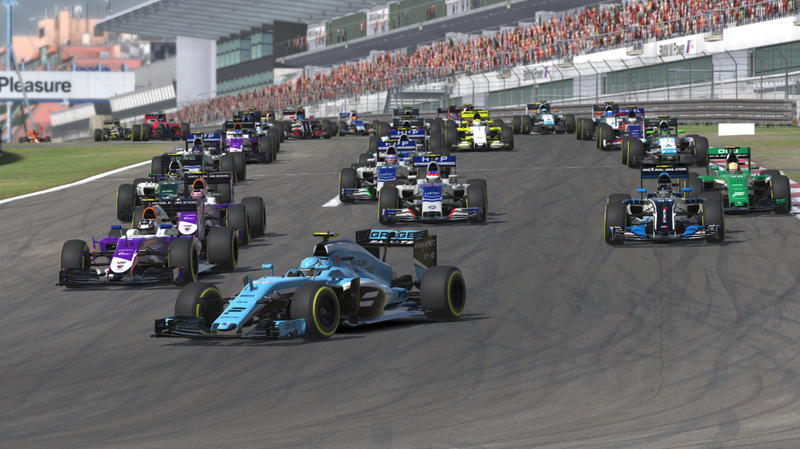 CoRe SimRacing’s Price brought his car to a halt early on after serving his penalty, seeing no real reason to move forward in the event. 16th-placed Peter Berryman did a slide for life into Turn One on lap seven, scaring his team boss ahead of Alex Simpson. For his part, Simpson did a half-spin of his own down at the final chicane later that same lap, taking four or five attempts to get back up to speed and dropping back to Berryman’s vicinity. Kazuki Oomishima showed his pass of the day card on Sebastian Job for P17 on lap seven, making the move into turn one from three and a half car lengths back, proving Job needed the Hubble Telescope to see the move coming. Meanwhile, a sixth placed-Filho started holding-up a small train of cars headed by the likes of Colak and new Apex Racing UK recruit Patrick Holzmann. 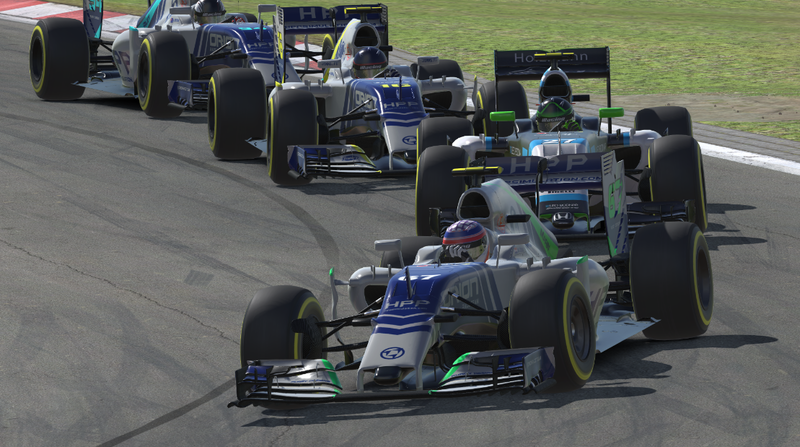 Colak made the pass for P6 comfortably at the start of lap twenty one, leaving an Holzmann to deal with the Brazilian. The following lap saw Holzmann make a late lunge into the Yokohama S that ended in tears when the pair collided and causing pandemonium on the exit, including a spin by VRS Coanda’s Martti Pietila. Törmälä, DeJong and Pahkala dive inside an understeering Filho as Decorps prepares to follow suit. 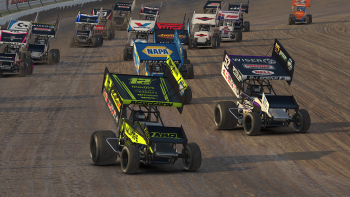 Filho’s day went from bad to worse as he and Vortex Simracing’s Michael Dinkel collided in turn two on Lap 23. Filho was the major loser in the incident which, ultimately, summed-up another day at the office in a disappointing season for Radicals Racing. The pit stop window opened around this time as well, with DeJong and Pahkala among the first to come in, with the latter losing more than six seconds changing a front wing would have to change his front wing. For his part, DeJong took liberties exiting the pits, nearly shaving-off the front nose of Kazuki Oomishima’s McLaren into the first turn in his efforts clear the traffic and get up to racing speed in his battle with Törmälä. However, Törmälä would make a catastrophic error coming in at the end of lap twenty-eight, spinning out of the final chicane and drifting all over the no man’s land between track and pit lane before coming back out into the middle of the road. 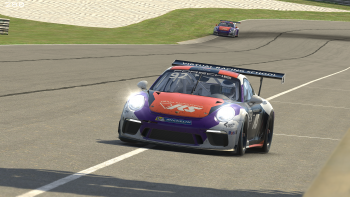 As a result, he was unable to pit that lap and had to make another lap before calling for service, dropping behind Pahkala in the process. Holzmann (27) is the meat in a triple decker Orion Race Team sandwich featuring Colak (67), Haapala (16) and Preston (94). Krönke was destined to lose significant time on his worn out tyres, to be specific, three and a half seconds in three laps to his following teammate (DeJong), before the hometown hero boxed at the end of lap thirty-four. By the time he returned to the race track proper, Krönke had dropped behind his teammate and questions would arise about team orders. Those sort of intraquad tactics had, of course outlawed after Pahkala’s antics at Spa- Francorchamps; and with Graham Carroll suspended for a race for similar shenanigans with Berryman, VRS Coanda found itself under the microscope. Oblivious to any drama in his wake, Huttu who was the last man to stop and comfortably got out and away with a ten seconds in hand, enabling him to cruise home for the final twenty-five laps. In contrast, DeJong was caught and comfortably overtaken by Krönke, albeit in a fashion that would not be deemed team orders: DeJong was still at full throttle as Krönke opened ERS and DRS to make the pass. Not much would happen in the final laps though as the field generally stayed close in pack mentality, before Törmälä going for another spin with just eight laps remaining. Törmälä, Jake Stergios or Robin Friskopps (77)), ineX Racing spent as much time off road as on at The Ring. Huttu thus completed the hat trick with pole position, fastest lap and every lap lead as he stormed to a 15 second victory over Krönke, with DeJong completing a Coanda 2-3 ahead of Pahkala and Törmälä coming home an eventful fifth. 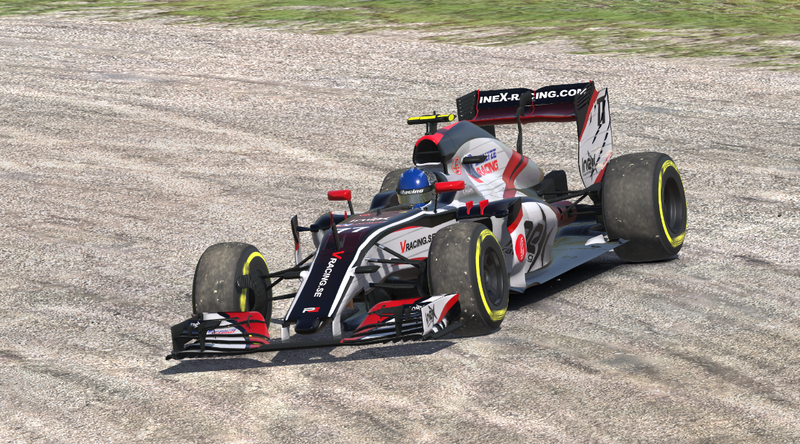 Krönke (516) now leads Huttu by 17 points as they head to Circuit of the Americas for the season finale, with the “undercard” shaping-up as a battle for third between Pahkala (402) and Törmälä (394). 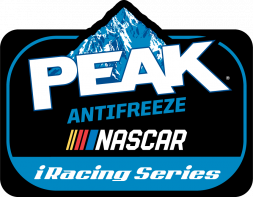 Also at stake The other is the contest to make the top 30 in points and an automatic invite to the 2017 season, with the cutoff currently shared by Isaac Price and Vinchenzo Amico (143). 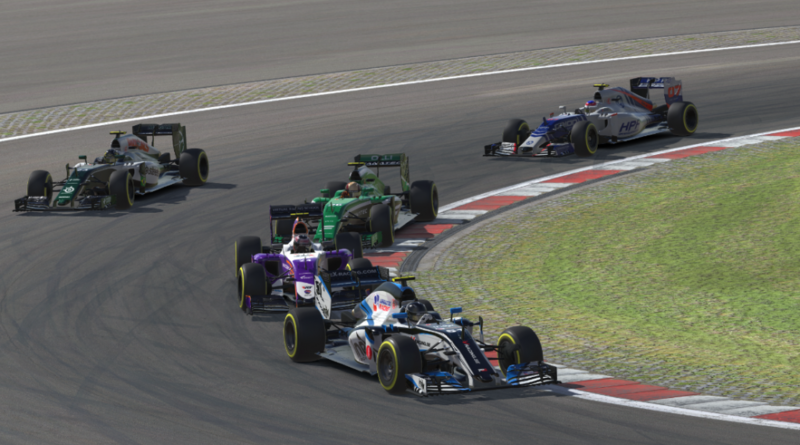 However, with strong finishes in the Lone Star State three more sim racers potentially have a chance of punching their tickets to next season in the forms of Oscar Mangan, (121) Jeremy Bouteloup (120) and surprisingly, Sebastian Job (118).